Los Angeles, CA (September 12, 2017) The Los Angeles Convention Center (LACC), professionally managed by AEG Facilities, reported generating a record-breaking economic impact of $781 million for the City of Los Angeles in fiscal 2016/2017 with $478 million attributed to convention attendees direct spending. An additional $26.4 million was generated in tax revenues to the City, with $18.2 million in hotel transient-occupancy tax contributions to the City’s general fund. This is an increase over $90 million in total economic impact over last fiscal year. Los Angeles, CA (July 27, 2017) The Los Angeles Convention Center (LACC), managed by AEG Facilities, closed its Fiscal Year (FY) 2016-2017 with the largest financial and operational surplus, highest occupancy rate and hosted the most Citywide conventions and special events in the LACC’s 46-year history. The LACC reported an operating surplus of over $10.2 million; a 5% jump from the year prior. The impressive FY 2016-2017 results are not only in financial performance but also increases in total attendance and Citywide convention bookings, building improvement projects, sustainability metrics, positive client survey results and community involvement and corporate responsibility projects. Along with other Fourth of July activities, Anime Expo will be taking place July 1 through 4 at the L.A. Convention Center. This means there will be heavy crowds converging in the downtown area that weekend. To avoid traffic and a long search for pricey parking, Go Metro instead. Originally posted on TheSource.com by Anna Chen. Los Angeles, CA (June 13, 2017) – AEG Facilities’ Los Angeles Convention Center (LACC) is delighted to welcome back four popular events for summer 2017: BET Experience (BETX), Anime Expo (AX), Beautycon Festival LA, and KCON Los Angeles. All four shows have evolved throughout the years into large-scale entertainment experiences expanding in size, popularity, and contribution to Los Angeles’ economy. April 20, 2017 (Los Angeles, CA)- The Los Angeles Convention Center (LACC), managed by AEG Facilities, placed 2nd in the Water Management Category at the Los Angeles Department Water and Power (LADWP) 2017 Sustainability Awards. 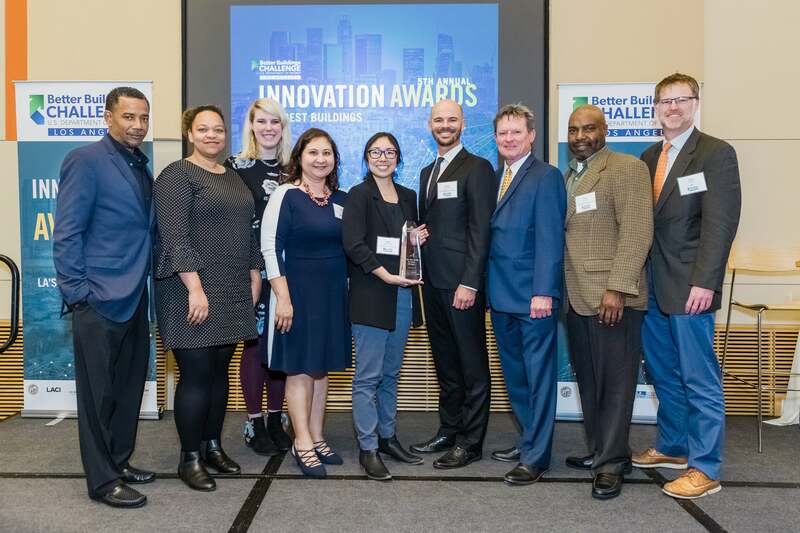 The Sustainability Awards event was held on April 6 2017, at the La Kretz Innovation Campus in the Downtown Los Angeles Arts District and recognized high-level commitment to environmental sustainability and honored LADWP large non-residential customers who completed major efficiency and conservation projects. Each year, as many as 3 million visitors come to the Los Angeles Convention Center (LACC) for conventions and trade shows. But attendees need a break from business to get a bite to eat, and that’s where Levy comes in. LOS ANGELES, March 24, 2017 /3BL Media/ – On Saturday, March 25, 68 AEG stadiums, arenas, theatres, clubs, convention centers and teams in 36 cities, seven countries and four continents will “go dark” in support of World Wildlife Fund’s (WWF) Earth Hour, a worldwide grassroots movement to unite people in protecting the planet. From 8:30 to 9:30 p.m. local time, participating AEG sites will turn off non-essential lights and/or utilize signage and social media as part of AEG’s global support for Earth Hour, organized by AEG 1EARTH, AEG’s industry-leading corporate sustainability program. LOS ANGELES, CA (March 22, 2016) On March 25th, 2017, the Los Angeles Convention Center (LACC) will join millions of people and organizations worldwide in “going dark” for World Wildlife Fund’s Earth Hour, a worldwide grassroots movement uniting people to protect the planet. 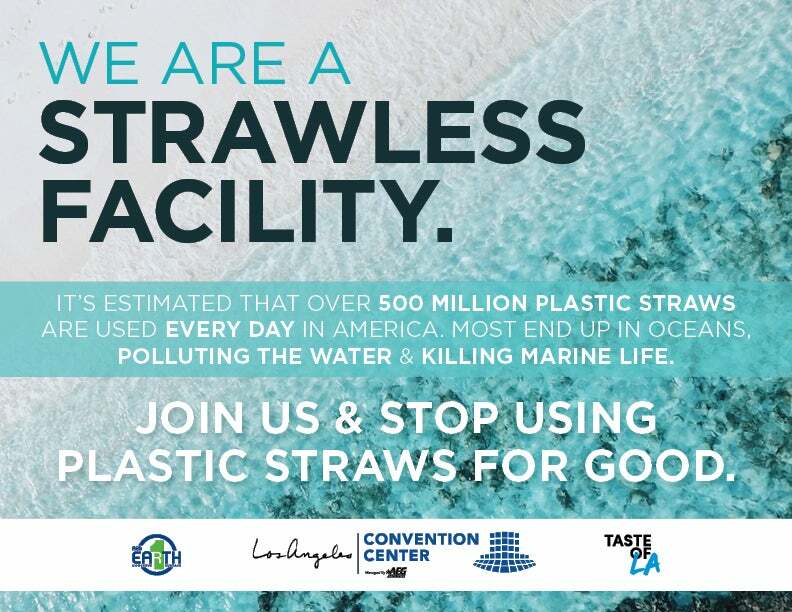 From 8:30 to 9:30 PM, the LACC will turn off its non-essential lights, primarily focusing on West and South Hall towers, as a symbolic call to action to protect our planet. As part of a global Earth Hour campaign organized by the City of Los Angeles and AEG 1EARTH, AEG’s industry-leading corporate sustainability program, the LACC joins City Buildings in six districts and more than 50 AEG Facilities-affiliated venues in 27 cities, eight countries and four continents across the globe in celebrating its commitment to the environment. The Los Angeles Convention Center (LACC) is proud to welcome Matt Brown as General Manager of “Taste of LA” by Levy Restaurants. Los Angeles (Feb. 16, 2017) – The Los Angeles Convention Center (LACC) and PPG Paints Arena were recognized today for their sustainability efforts in embracing Leadership in Energy and Environmental Design (LEED) green building certifications in the U.S. Green Building Council’s LEED in Motion: Venues report. Both venues are managed by AEG Facilities, a stand-alone division of AEG. 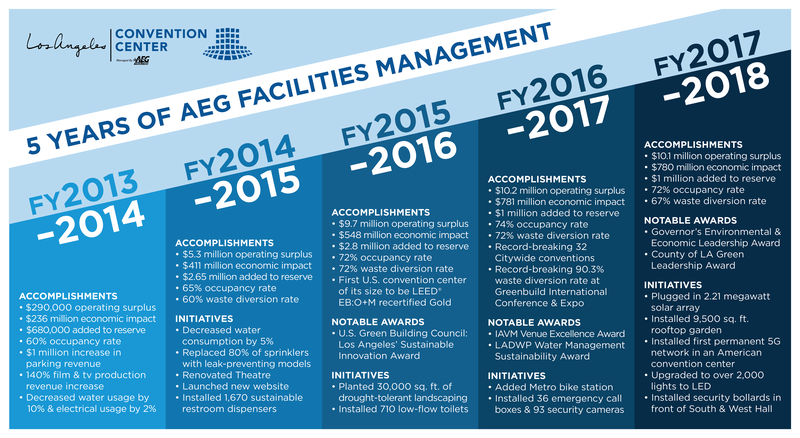 February 16, 2017 (Los Angeles, CA)- The Los Angeles Convention Center (LACC), managed by AEG Facilities, is proud to have partnered with the U.S. Green Building Council (USGBC) and Informa Exhibitions for a record-breaking 90.3 percent waste diversion rate at the 2016 Greenbuild International Conference and Expo. Creative strategies implemented by both teams resulted in a significant increase in the diversion of recyclables and composting from the waste stream. Tom Petty got his band the Heartbreakers back together for a high-class gig to launch Grammy weekend. Please refer to the attached map for more information on LACC access during the Grammys. The Chainsmokers December 20, 2016 list of accepted and prohibited items. December 20, 2016 (Los Angeles, CA)- December marked AEG Facilities and the City of Los Angeles three-year anniversary of a successful partnership. The private and public entities have worked together to reinvigorate the Los Angeles Convention Center (LACC) turning into an excellent economic driver for downtown Los Angeles. Key highlights of the three-year partnership include record-breaking financial results, surpassing the City’s goal of building a financial reserve, new sales and marketing initiatives, and capital improvement projects upgrading the building. Recently, both Team AEG and Los Angeles Convention Center (LACC) participated in Service Days at 49th Street Elementary School and the Downtown Women’s Center, respectively. AEG Facilities’ reputation as one of the world’s most trusted and experienced venue management companies that consistently delivers successful events time and time again, will be the focus of an international awareness campaign targeting convention decision makers. Originally published on AEG Advantage News. Information regarding the 2016 Rock ‘n’ Roll Los Angeles Halloween Half Marathon is now available.